It’s hard to believe that we are nearing the end of another fun and rewarding year at the ortho practice. We have had some changes at our Kincumber practice this year. It is with great excitement we announce that Dr Daniela Ribeiro has joined our Kincumber practice.Dr Ribeiro completed her dental degree at the University of Sao Paulo, a highly renowned dental university, and undertook her orthodontic specialty training in Brazil. She worked several years as a general dentist/specialist orthodontist in Brazil before migrating to Australia in 2007. 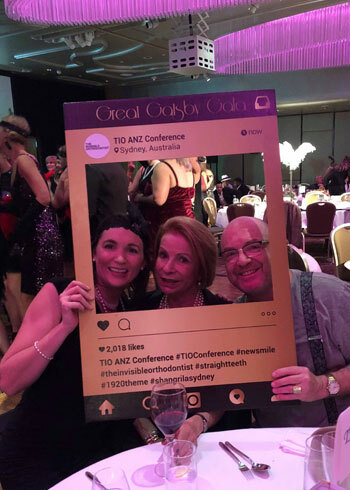 Dr Ribeiro’s love and devotion to orthodontics propelled her to continue her studies in Australia where she was accepted in the prestigious Doctorate of Clinical Dentistry in Orthodontics program at The University of Adelaide. And our dedicated deskie from Maroubra/CBD, Tiffany, has moved back to the Central Coast and is now working on reception at Kincumber. In turn, our dynamic Kincumber deskie Caroline now wears a new hat and is being fully trained as a clinical assistant. Our Kincumber patients will now see Caroline working in the clinic too. Would you believe Dr Baisi reached his 28th anniversary with TOP in April! We can’t believe it’s been so many years. We know Dr Baisi counts himself lucky for loving his work, the TOP team and most importantly, our patients. Congratulations too, go to our wonderful hygienist Alanna who became engaged to her partner Sam this year. We are all so happy and excited for them. Look out for news and photos of their wedding early next year! Congratulations also to our beloved clinical assistant Stephanie who is expecting her 2nd baby next year. We are all excited to find out if it’s a boy or a girl and wish her much luck with her pregnancy and next stage of motherhood. In August, some members of the TOP team attended the TIO conference in Sydney. It was very informative and we got some great ideas to implement into our practice. 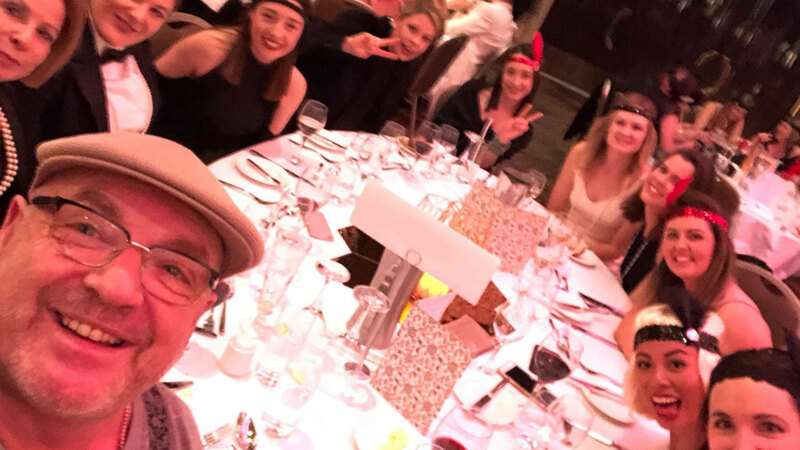 The team also enjoyed the 1920s themed end of conference dinner night! We held two dentist information evenings for 2018 at the Intercontinental Hotel, Double Bay. Many of our referring dentists and their teams attended. Dr Baisi delivered two presentations. These events are very important to our practice as it is our way of thanking our dentists and their teams for their ongoing support. It is also a great chance for everyone to earn highly sought-after CPD points, but also a great networking opportunity and social catch up. These events would not be possible without the help of our major event partners, Invisalign® Australia, 3M Unitek®, SureSmile®, PresiDental®and Dental Monitoring™. We would like to thank them for their continuous support. If you are a dentist and would like an invitation to our next event in 2019, please email team@theorthopractice.com.au to go on the mailing list. We would love to hear from you. In February a number of the TOP team members attended a Dental Monitoring™ conference and learned a lot about how to incorporate dental monitoring into the practice. This is now up and running for our Invisalign® patients and so far is very successful. I hope you have all seen our new Snapchat posts throughout 2018 – we will add to this video clips around the practice on a regular basis telling you about our life inside the ortho practice.We always like to hear feedback from our readers, so please feel free to comment on some topics you’d love to see more of or would be interested in learning more about. Keep following us on Facebook too – we post regular photos and practice news. We love getting your likes and reading your feedback. This year the practice will be closing on Friday 21 December 2018 and we will all be back rested and looking forward to seeing our patients again on Monday 7 January 2019. The year has flown by at the ortho practice as it’s been super busy,so we are all looking forward to the end of year break. Many thanks to our dedicated doctors and the entire TOP team, for everyone’s ongoing care and commitment to our patients,their diligence and devotion to TOP and their endlessly positive attitudes. On behalf of the entire TOP team we send season’s greetings from all of us to all of you, our lovely patients and families, for a healthy, happy and safe holiday season and 2019. We look forward to seeing you around the practice in the New Year!